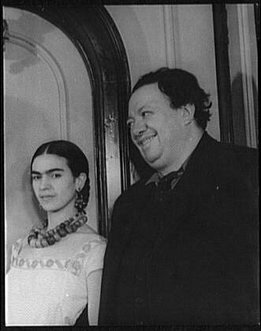 Diego Rivera and Frida Kahlo were at once Mexico's 2 most famous celebrities of all time, and also arguably the 2 greatest painters in the history of the western hemisphere. The fact that they were married (twice) just makes them even more interesting. 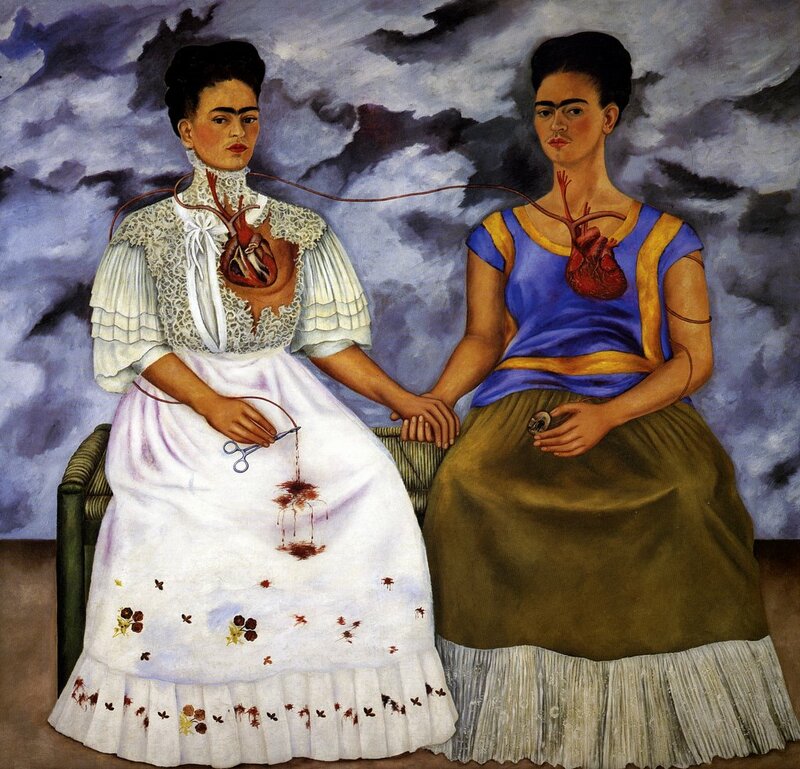 Plus there are lots of other juicy tidbits, including open bisexuality (Frida), rampant philandering (Diego), and an affair with a famous leader of the 1917 communist revolution in Russia. 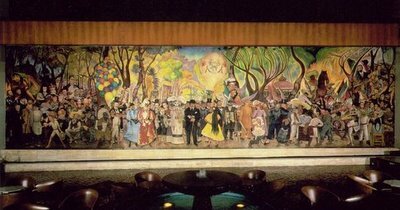 One of Diego Rivera's most famous murals, "A Dream of a Sunday Afternoon in Alameda Park", has its own museum which was just a couple of blocks from our hotel in Mexico City. 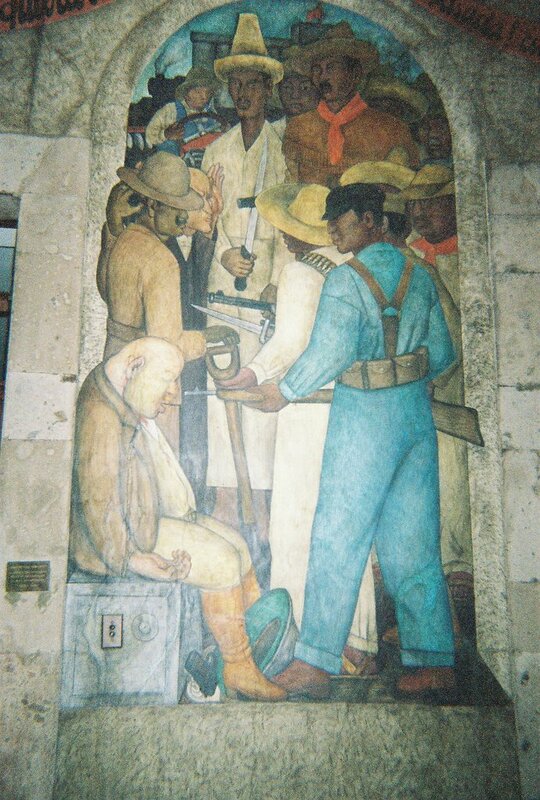 Throughout Diego Rivera's career, he was primarily a muralist, and he left some famous and incredible pieces in all sorts of places, including US cities like San Francisco and Detroit. In one of the most famous incidents, he was commissioned by Nelson Rockefeller to do a 63-foot by 17-foot mural inside Rockefeller Center in New York City. In the photo above, Diego is working at the Rockefeller Center. 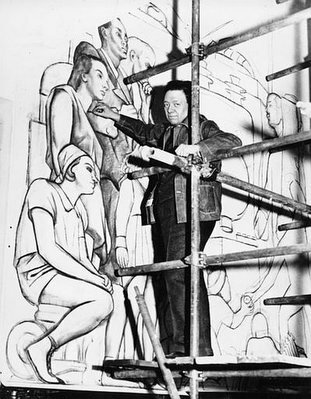 In the end, however, Rockefeller banned him from finishing the mural and quickly destroyed it because he had included an image of the communist leader Lenin among a group of US founding fathers. 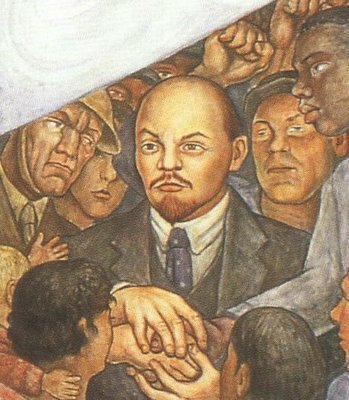 In Diego's Rockefeller Center mural, Lenin was symbolically clasping the hands of a black American, a white Russian soldier, and a worker, as allies of the future. 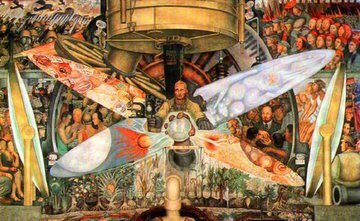 After the Rockefeller Center mural was destroyed, Diego eventually recreated the mural (Lenin included) in Mexico City and titled it "Man, Controller of the Universe". Diego was also commissioned by the Mexican government to paint murals in dozens of government buildings, including inside the National Palace (the Mexican version of the White House). 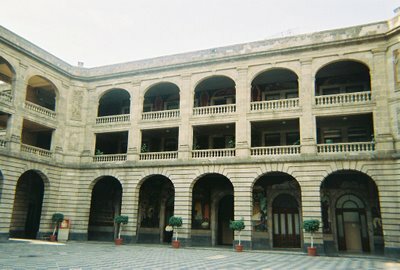 Just off the main plaza in Mexico City, we visited the Department of Public Education (above), where Diego had been commissioned to paint over a 100 frescos around 2 large courtyards. 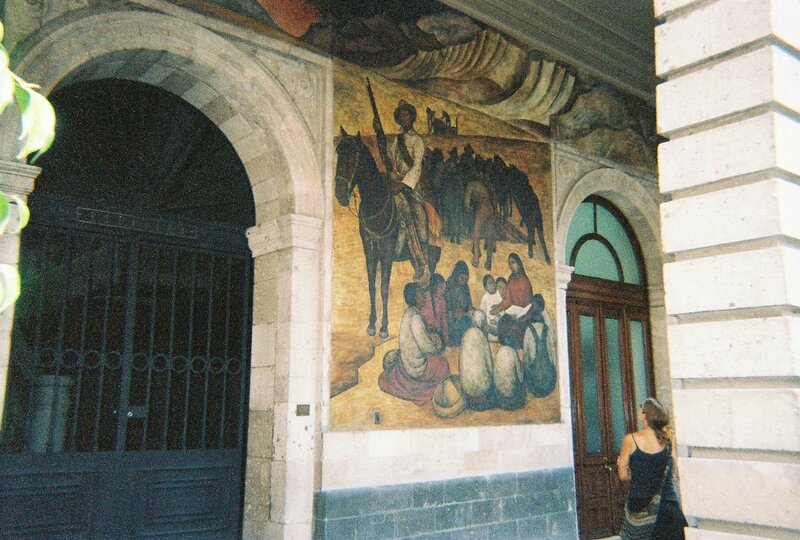 Amazingly, despite the strong communist themes of the works, these frescos are still here for all to admire. The building is a fully functioning government agency, so admission is free to see the art. This fresco was titled "Death of a Capitalist". 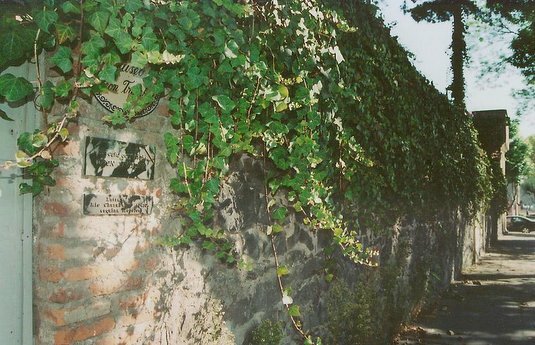 Although Frida didn't receive quite the international notoriety that Diego did while she was alive, her fame has arguably surpassed that of her muralist husband in recent decades. 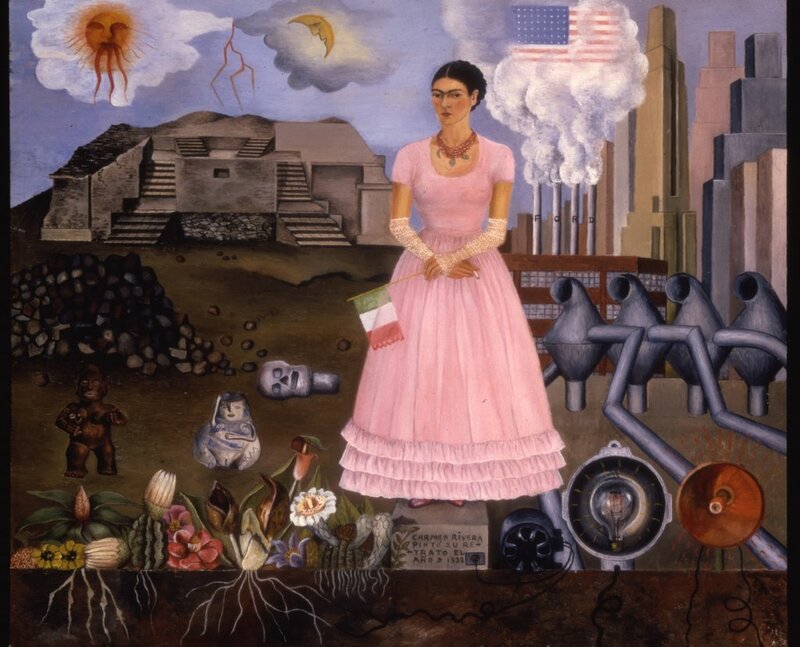 Frida's tortured style which is most often characterized by gory self-portraits was shaped by a debilitating bout of polio as a child and a terrible trolley accident she suffered as an adolescent which left her partially disabled and unable to carry children to term. Much of her work reflects her life-long physical and emotional pain resulting from the accident. We took a tour of La Casa Azul (The Blue House) in southern Mexico City, where Frida lived for a good part of her life. 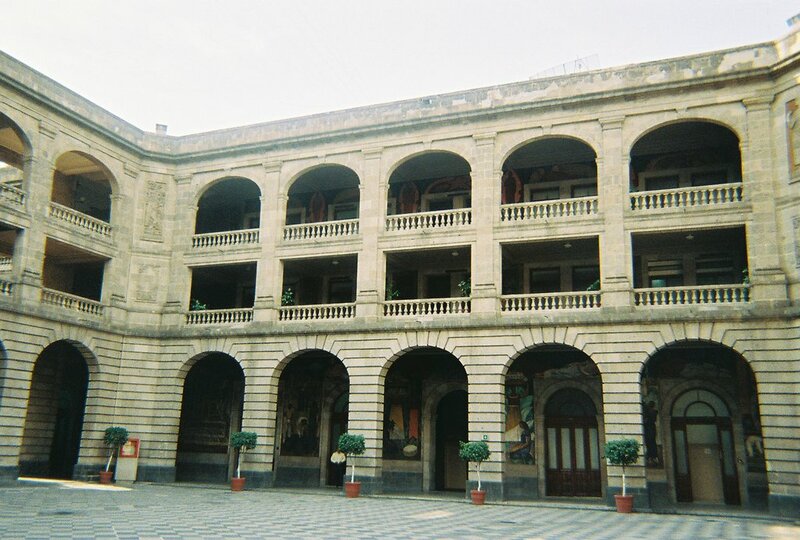 The house has now been converted to a museum where some of her art and personal belongings are displayed. So what is Leon Trotsky doing on a page about art museums? 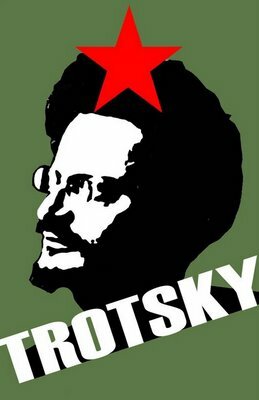 If you'll remember from your high-school history class, Trotsky was one of the 3 leaders (along with Lenin and Stalin) of the 1917 communist revolution in Russia. Well after Lenin died, Stalin turned against Trotsky and had him exiled. 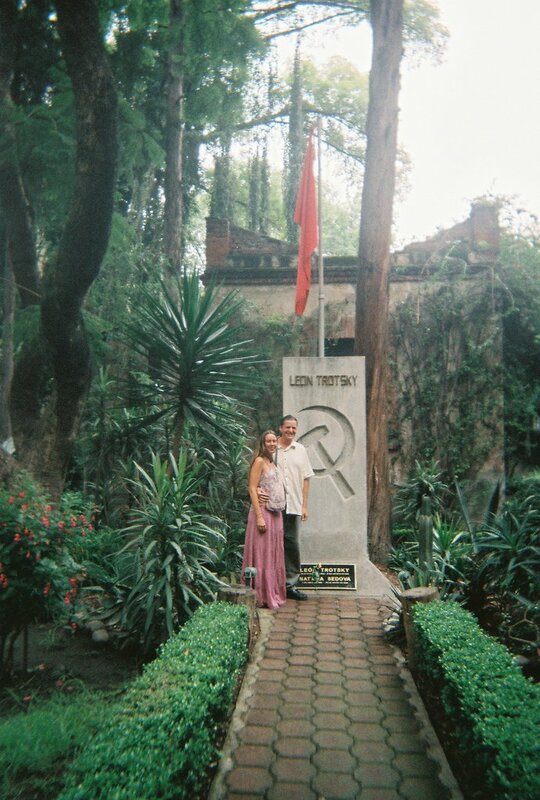 Before too long, Trotsky ended up here in Mexico City, where he was befriended by Diego and Frida, who (as you might have guessed) were both avid communist supporters. During his stay in their house, Frida and Trotsky even had an affair. 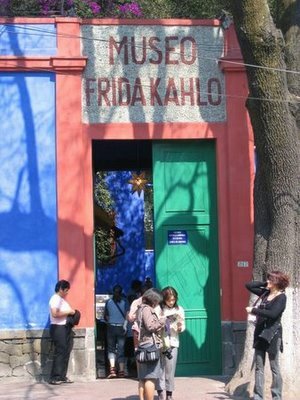 After the affair, Trotsky got his own place about half a mile from Frida's house. 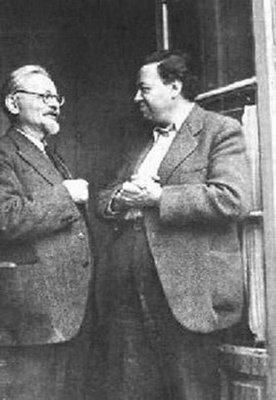 Eventually Stalin tracked down Trotsky and began trying to have him killed. Trotsky fortified his house with watchtowers and armed guards, but a group of assassins got in once and shot up the place; the only reason they didn't succeed was because they were all drunk. 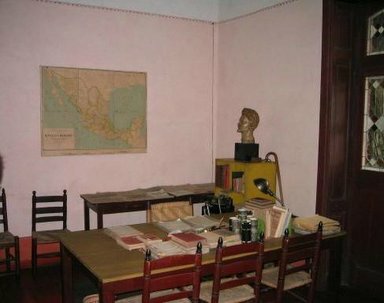 Finally in the summer of 1940, a secret agent of Stalin (who had befriended Trotsky) killed him in his home office (above) by burying an ice pick in his head. 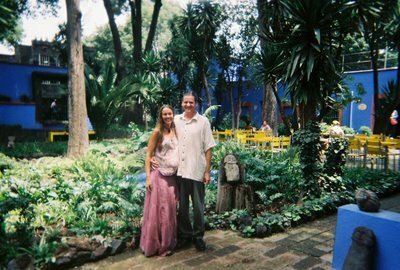 Here is where Trotzky's remains lie today, inside his former home in Mexico City, which has been converted to a museum in his honor.